Denna produkt ger dig 1158 bonuspoäng. Stenbroviadukt, höjd 25,1 x bredd 7,1 x längd 37,4 cm. Passar för alla spår i H0-skalan. 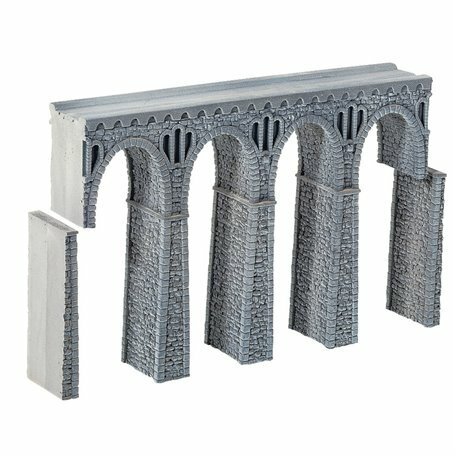 The Quarrystone Viaduct is the eye-catcher in your model railway diorama. In order to create particularly long bridge constructions, you can combine straight and curved quarrystone viaducts arbitrarily. You can also combine the viaduct with the Viaduct "Rhône". The kit includes the viaduct and the material necessary for constructiong a fitting bridge head.